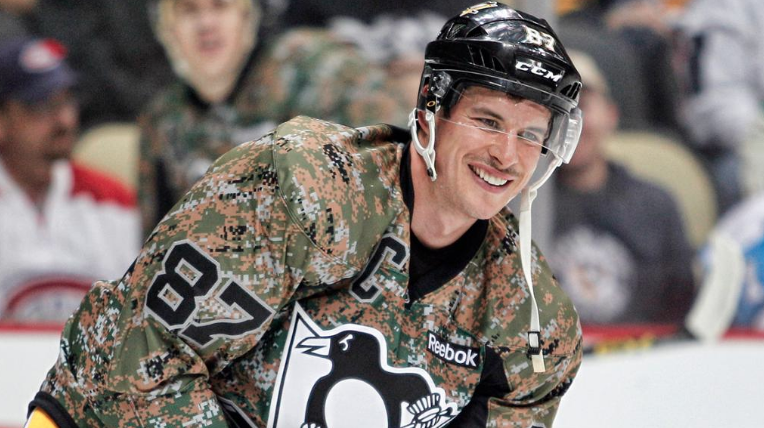 Pittsburgh Penguins captain Sidney Crosby wearing a camo jersey to honour military veterans during a hockey game last November. intertwined with politics and it’s downright weird to claim otherwise. Questions about who will pay for stadiums or how workers should be paid are obviously political, but hockey, in particular, has been central to how Canadians have understood our politics for at least as long as the NHL has existed. The political nature of hockey is one of the reasons why it elicits such passion among fans. Francophone Quebecers rioted after Habs star Maurice “Rocket” Richard was suspended by the NHL for the remainder of the 1954-55 season for on-ice violence in a game against the Boston Bruins. Many believed that Richard, one the greatest players in the game’s history but who was never properly compensated, was penalized harshly in retaliation for his public criticism of the league’s treatment of francophone players. In a province where francophones toiled for low wages and capital was overwhelmingly owned by anglophones both inside and outside Quebec, a riot in response to Richard’s mistreatment was a riot in response to their mistreatment. 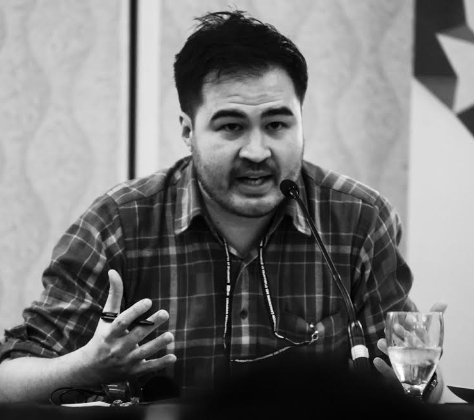 Although historians debate its centrality, the Richard Riot became central to the political imagination of a province which would soon undergo the transformations of the Quiet Revolution. Even if Richard himself never intended to be political, his career and actions became political due to circumstances not of his choosing. This is not some esoteric historical fact: we have a Heritage Minute about it. Likewise, the 1972 Summit Series between Canada and the USSR was a release valve for the anxieties of the Cold War, then at its height. The idea was initially floated to Hockey Canada by Canada’s Ambassador to Moscow and became a central aspect of how Canadians understood not only our own place in the late-20th-century world but also how they understood the USSR. The 1980 “Miracle on Ice,” where an underdog American hockey team beat the heavily favoured USSR in the medal round, served a similar political function in the United States at a time when the Soviet Union’s stability and global influence was starting to wane. The Canadian and American states explicitly understood sports, particularly hockey, as a political tool. The enduring belief that hockey is some innocent pastime untouched by politics or social conflict is precisely the reason why it serves as such a powerful vehicle for politics. Many of the things we take for granted are the result of political decisions made in specific moments. In order to drum up support for an ultimately pointless series of invasions in the Middle East after 2001, Canadian and American sports teams began the new tradition of celebrating military veterans with on-ice tributes, jumbotron video packages and players wearing camo jerseys. Crosby himself has worn a camo jersey adorned with the stars and stripes on Veterans Day. Just as Maurice Richard served as a vehicle for an emerging francophone nationalism in the 1950s, and Cold War international hockey helped define the differences and conflicts between NATO and Warsaw Pact states, the celebration of post-9/11 militarism became central to new understandings of Canada’s proper place in a shifting global order. Importantly, sports ability to reflect and refract political and social struggles are part of what makes us so passionate about them. If they don’t have a connection to larger narratives about collective struggle or shared aspirations then it seems truly silly that watching adults we’ve never met try to put a puck or a ball in a net can elicit so much passion. 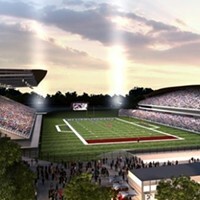 Mayor says Maritime Football is in field goal range of securing a franchise. 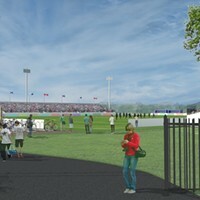 Three-year agreement with HRM for temporary facility is still being finalized, and dependent on the Canadian Premier League’s unknown launch date. Cole Harbour’s hero voices his support for Penguins’ White House visit. 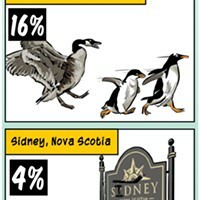 How else should we be honouring Sidney Crosby? 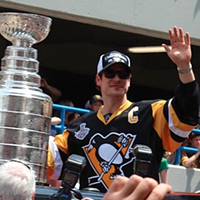 Natal Day was all about Sid the Kid. But we think there are more exciting things to name after the city’s hockey hero than some boring-old street. What do you think? Everybody loves a parade with the greatest Cole Harbourite ever! 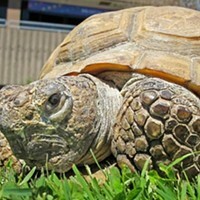 A quick lesson on The Museum of Natural History’s resident tortoise and Halifax’s oldest pet.